i'm not a big jewelery girl, we've been over this before; i'm more of a hair accessories kind of girl, it's true - and i mean, watches are so unnecessary these days anyway, but, when niko and co over at wholesome bling asked if i'd be up for styling one of their handmade and unique watches, well... i never say no to pretty things. and funnily enough, it wasn't until after i'd shot these that i realised there's even a 'how-to-tie' section on their f.a.qs, which clearly means i had mine tied wrong the whole day. oh wells. we live and learn! with the completely stainless steel backing, it means i am 100% itch free and free from allergies - a very welcomed and genuine surprise! 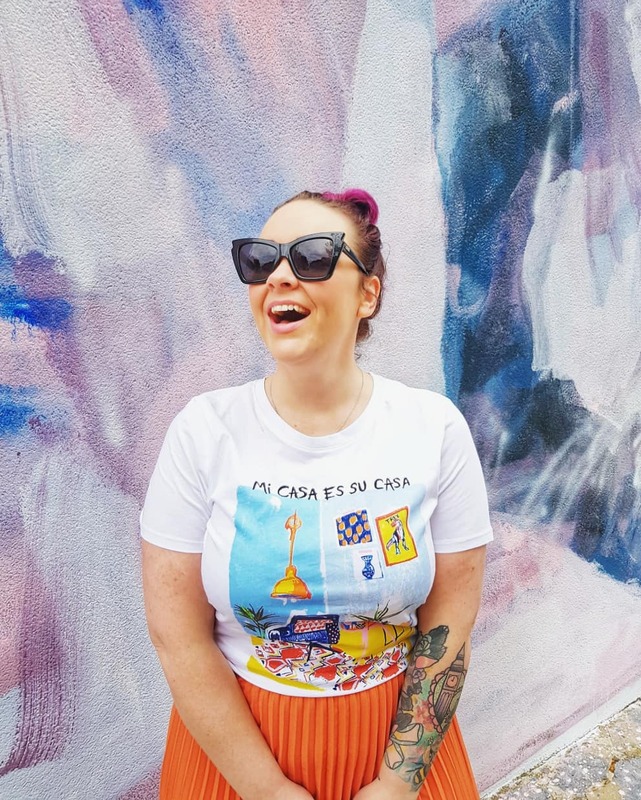 especially considering the price on these one-of-a-kind pieces -- less than £25, i wasn't expecting them to be as waterproof and well made as they actually are. 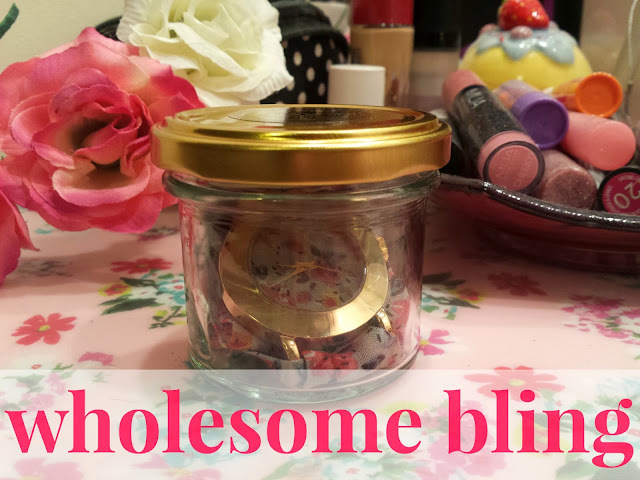 and - it came in this teeny tiny little jam jar, which makes these the perfect little gift for someone special! 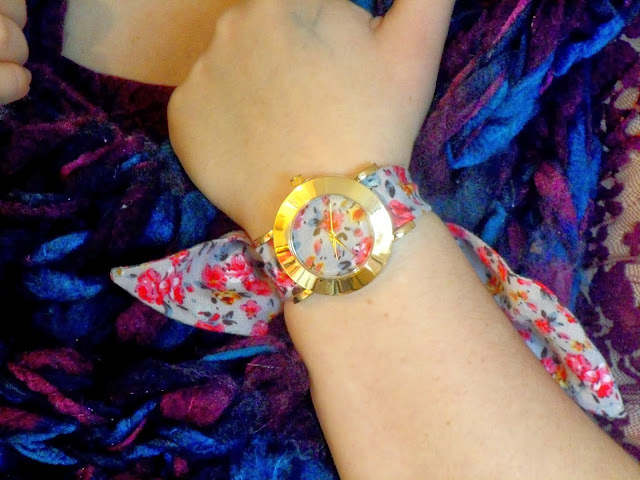 the floral strap is perfect for me; i basically am a floral haze everywhere i go, and with the longish strap, means i can also rock a bow on my wrist wherever i go. 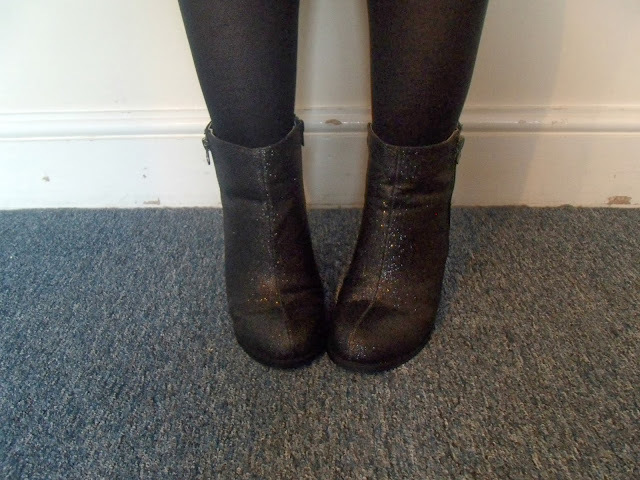 bonus girly points for me. 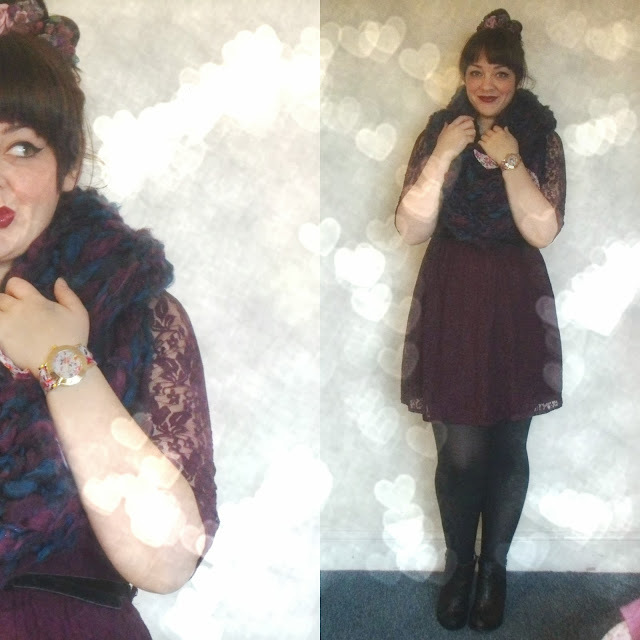 i thought the pale grey and pink floral would look pretty with my purple bun crown (which is obvs does), and my new 'going out boots' that i'm trying to wear in for the christmas party in a few weeks. 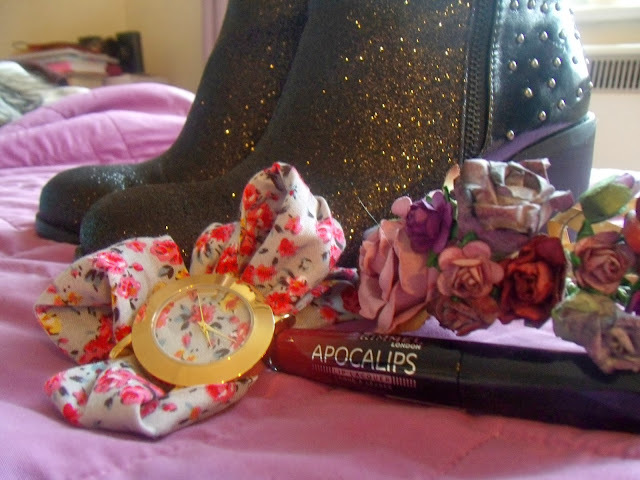 glitter, flowers and wholesome bling -- i simply can't go wrong! I am in LOVE with that watch! I never wear watches either but this is super super cute! 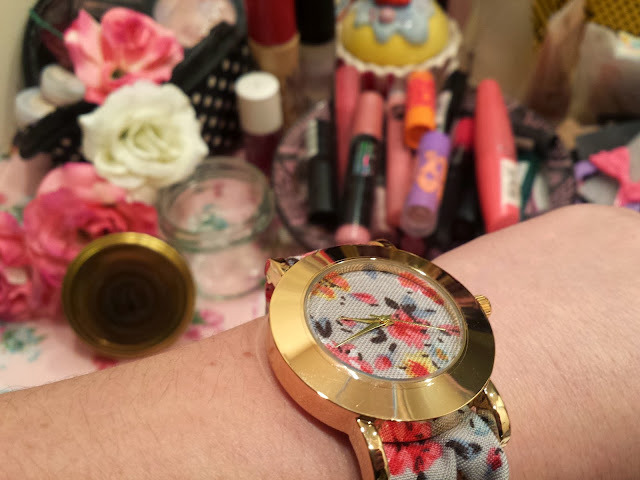 Cutest watch! I love it!